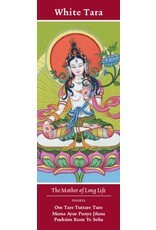 The White Tara practice can be done to prolong your life and to overcome life-threatening obstacles such as illnesses. 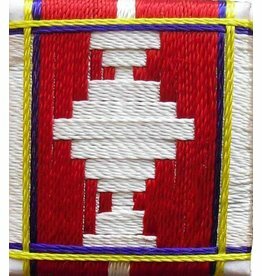 Her practice can also be done on someone else's behalf. 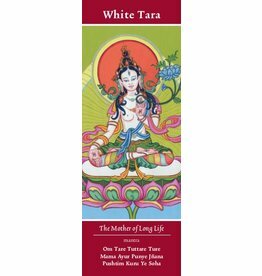 Another beautiful ritual is to offer a White Tara image to a newly born baby to wish he or she may have a long life ahead. 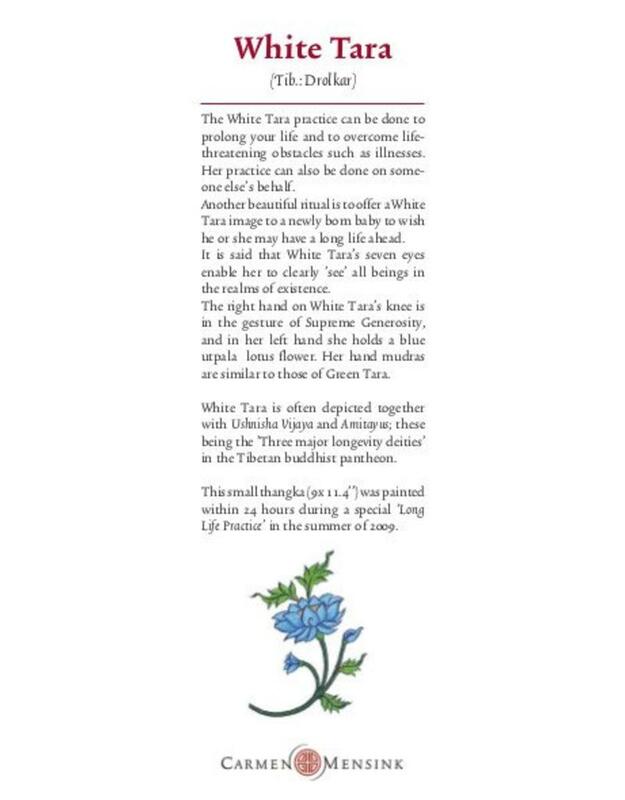 It is said that White Tara's seven eyes enable her to clearly 'see' all beings in the realms of existence. 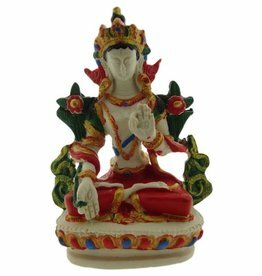 The right hand on her knee is in the gesture of Supreme Generosity, and in her left hand she holds a blue utpala lotus flower. 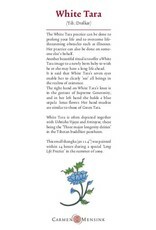 Her hand mudras are similar to those of Green Tara. 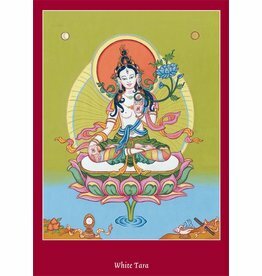 White Tara is often depicted together with Amitayus and Ushnisha Vijaya; these being the "Three major longevity deities" in the Tibetan Buddhist pantheon. 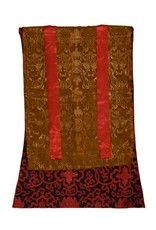 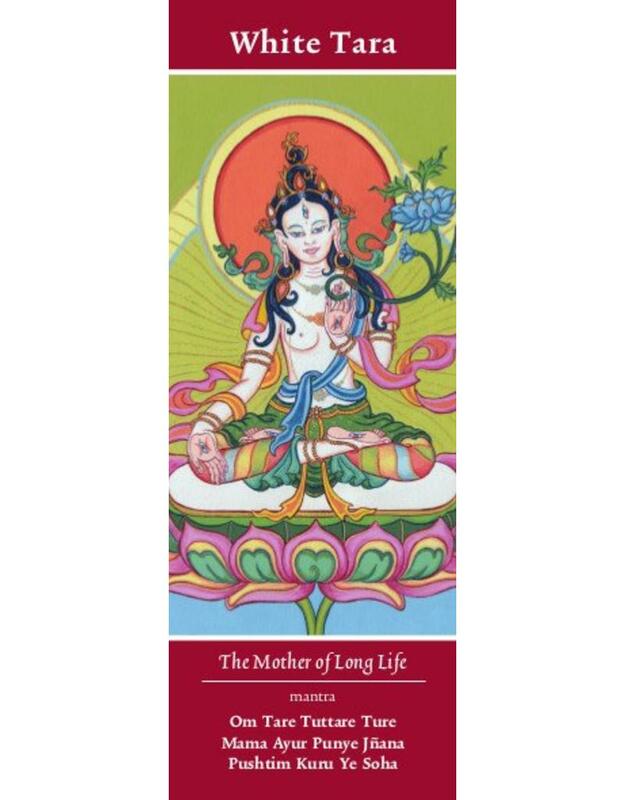 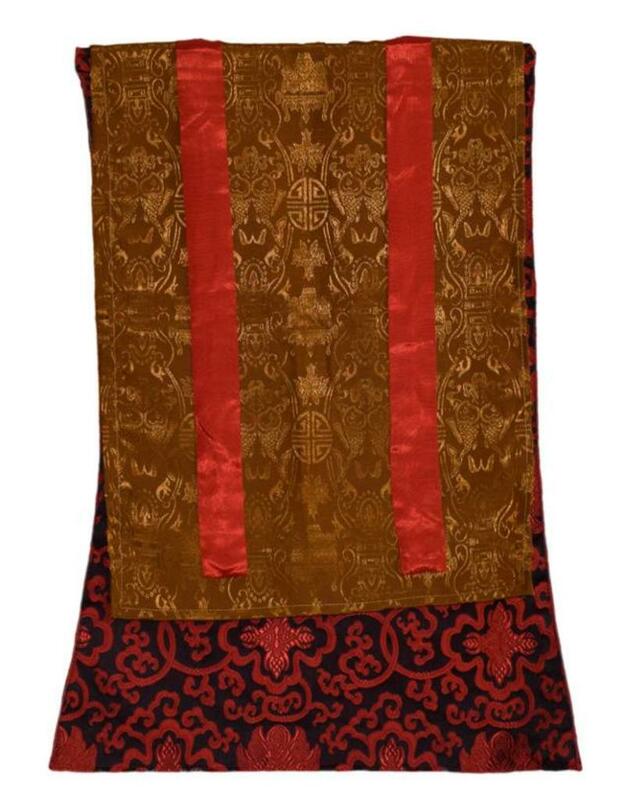 The dimensions of the thangka are: top 38 cm, bottom 44 cm and length 60 cm. 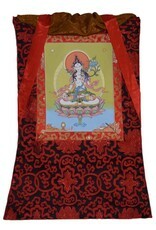 The image of the reproduction is approximately 20 cm x 26.5 cm. 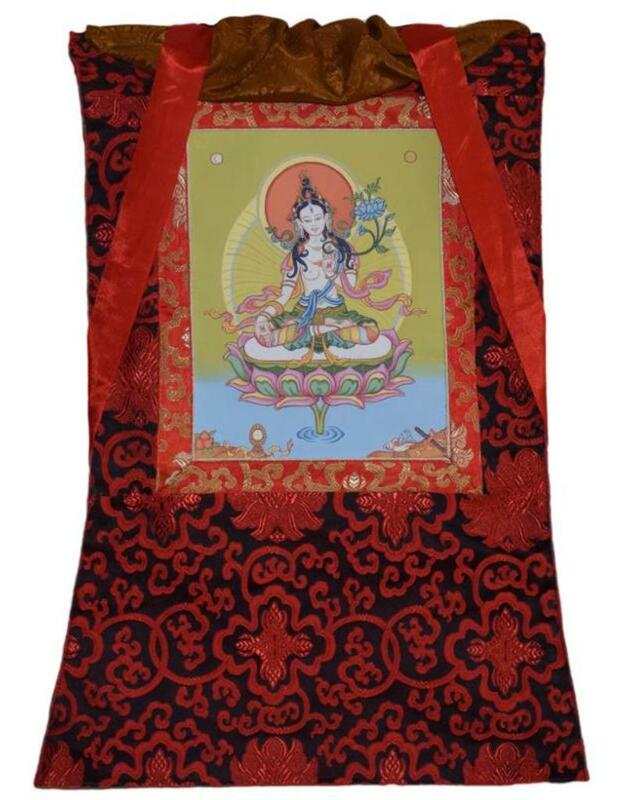 This thangka is a design by Tibetan Buddhist Art - Copyright: © Carmen Mensink.